Most of the time cheats make bosses significantly harder to defeat, but there is one in particular that actually makes it easier! The big bad Pendragon is a boss in the Keep of Ganelon, which is also the grande finale of Avalon. As an interrupt before Round 1, the Pendragon will cast a 0 pip entangle (Life Dispel) on everyone in the battle. 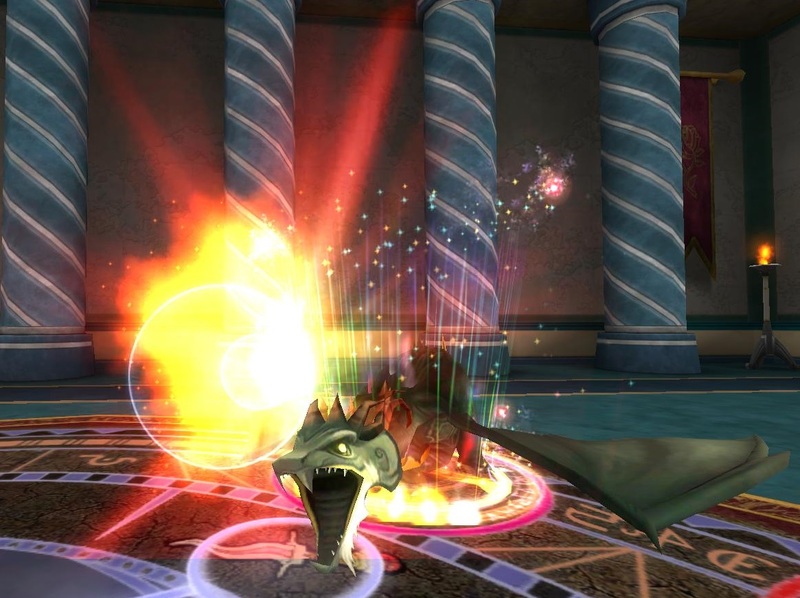 During the Pendragon’s regular turn on Round 1, he will cast a 0 pip fire dragon. This fire dragon will deal 20,000 damage to your team over 200 rounds. Casting a single target spell on the Pendragon will result in a 0 pip Scarecrow. If you hit the Pendragon but don’t defeat him, he will deal around 500 damage to himself. You could take the Pendragon out like you would any other boss (blade up and hit), but what if I told you there was an easier way? What if I also told you that it only required two cards? That’s right, I’m talking about the shift +detonate technique. Some of you may already be familiar with it, but I know many others aren’t. 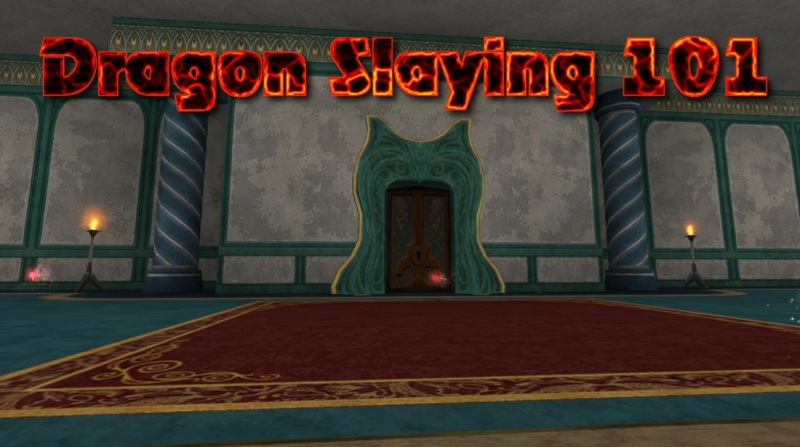 So without further ado, welcome to Dragon Slaying 101! Shift: Shift is a myth spell that is earned by myth wizards when they complete the quest “No Pain, No Agravaine.” Because the spell can only be trained by myth wizards, other schools will need to seek out other sources if they don’t have a myth wizard with them. Unfortunately, since shift treasure cards are limited to drops in Polaris, the only other option for Avalon wizards seeking shift is through item cards. Shift item cards can be found on the Mercy’s Trueflight Bow and the Night King’s Sabatons from the Knight’s Lore Pack, the level 50+ Golden Boots of Serenity from the Keeper’s Lore Pack, Oracle’s True Beret (4,500 crowns from the crown shop), and the level 20+ Turquoise Eagle’s Sky Tracks from the Skyvern’s Hoard Pack. Shift Peridot jewels will also do the trick, and those are dropped by Avalon bosses such as Feletheus Barca, Jabberwock, Kiva White Talon, and Maudit Soulban. Amulets with shift cards can also be crafted, but Avalon wizards will not be able to access the recipes. Detonate: Just like shift, detonate can only be trained by the spell’s respective school (fire) from the quest “No Pain, No Agravaine.” There are actually no treasure card versions of detonate so item cards will be your only other option if you don’t have a fire wizard with you. Detonate item cards can be found on the Darkfire Longbow and Glorious Chivalric Boots from the Knight’s Lore Pack. 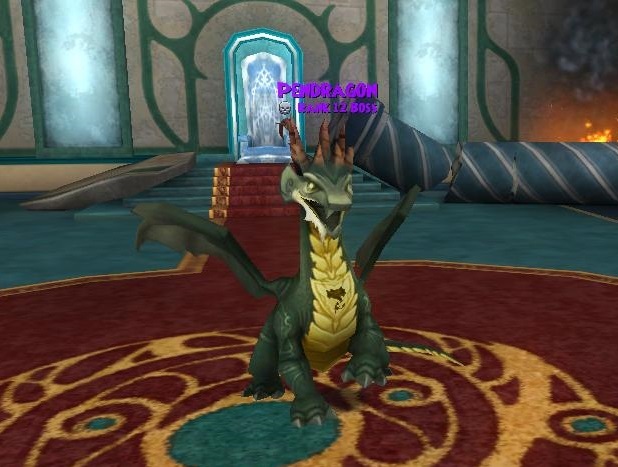 A Detonate Ruby is also available which is dropped by Ammit the Devourer in Zigzag, Sylster Glowstorm in Waterworks, and bosses from the Baddle of the Bands, Winterbane Hall, and Midnight Sun Pagoda. Amulets with detonate cards can also be crafted, but Avalon wizards will not be able to access the recipes. Myth Mastery Amulet (If you don’t have a myth wizard with you): This can be bought from the crown shop for 9,950 crowns or received as a drop from bosses in the Tower of Helephant and Waterworks. 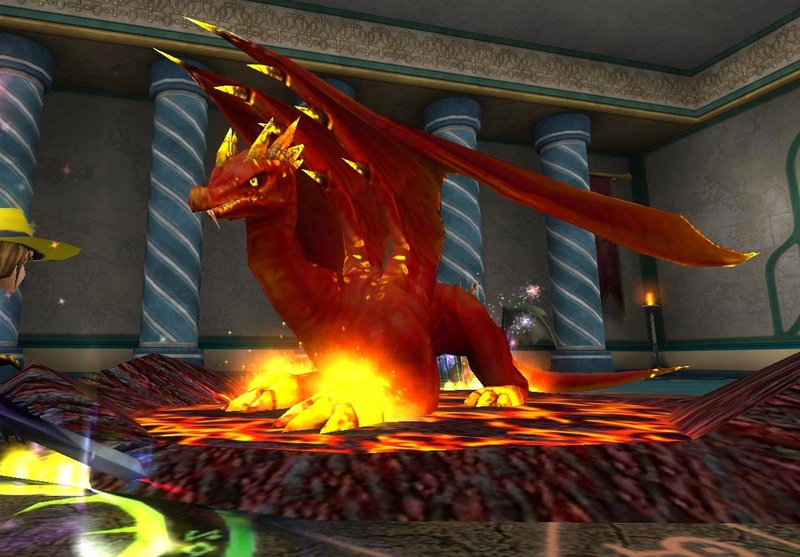 Fire Mastery Amulet (If you don’t have a fire wizard with you): This can be bought from the crown shop for 9,950 crowns or received as a drop from bosses in the Tower of Helephant and Waterworks. If you’re playing from first: Since the Pendragon will cast his 0 pip fire dragon during his first round turn, you’ll need to pass the first round. Once the fire dragon is cast, have someone shift the fire dragon damage tick onto the Pendragon, and then have someone else detonate the damage tick once it’s shifted. Round 2: Have someone shift and someone else detonate. (The shift NEEDS to be casted before the detonate). Unless you have fire/myth wizards with you or masteries equipped, most people won’t be able to kill this early. If that’s the case, just wait until your team has enough pips and then boom! If you’re playing from second: This is probably the only fight in the game that I prefer to go second in. Since the Pendragon casts his cheat 0 pip fire dragon on round 1, you’ll be able to shift and detonate right away on round 1 as well. Round 1: Have someone shift and someone else detonate. (The shift NEEDS to be casted before the detonate). Unless you have fire/myth wizards with you or masteries equipped, most people won’t be able to kill this early. If that’s the case, just wait until your team has enough pips and then boom! *Note: The shift and detonate don’t need to be played the same round, nor do they need to be casted by different people. Having two different people casting the spells at the same time just makes the fight faster and more efficient. Having one person do both spells will work just as well! Like I mentioned earlier, the Pendragon’s cheat fire dragon will deal 20,000 damage over 200 rounds. When you shift that damage tick onto him and detonate it, the 20,000 damage will explode all at once! If done right and luck is on your side, this fierce dragon can be taken down in 1 or 2 rounds! Even if you don’t have fire or myth wizards with you, this battle can still easily be won in 3-5 rounds. So what are you waiting for? Go give the Pendragon a good taste of his own fiery medicine!